OPINION | J-11D : How China is Reinventing The Flankers? Home / Aerial Warfare / China / Greater Asia / Opinion / OPINION | J-11D : How China is Reinventing The Flankers? Secrecy always remains the hallmark of Chinese military programs especially the military aviation projects. Since 2004, when Shenyang Aircraft Corporation (SAC) first introduced the Chinese version of Soviet Sukhoi SU-27, as J-11B, this military program has been an intriguingly attractive for military experts around the world. So far, SAC has introduced various versions of Chinese flanker program. Latest addition to the family is J-11D. Prior to this, J-15 (carrier born version) and J-16 (strike version) were introduced. J-11D is yet another proof that Chinese have not done looking into their own flankers family for the room of further improvements. As mentioned earlier Chinese remain highly secretive about their military aviation projects, any information reaches to open-source domain is through online Chinese military forums. According to internet forums, J-11D is further development of J-11B with focus on integration of modern technologies built by Chinese firms like Advanced Electronically Scanned Array (AESA) radar, composite metals and radar absorbing materials along with capabilities to carry latest Chinese built Air to Air missiles. 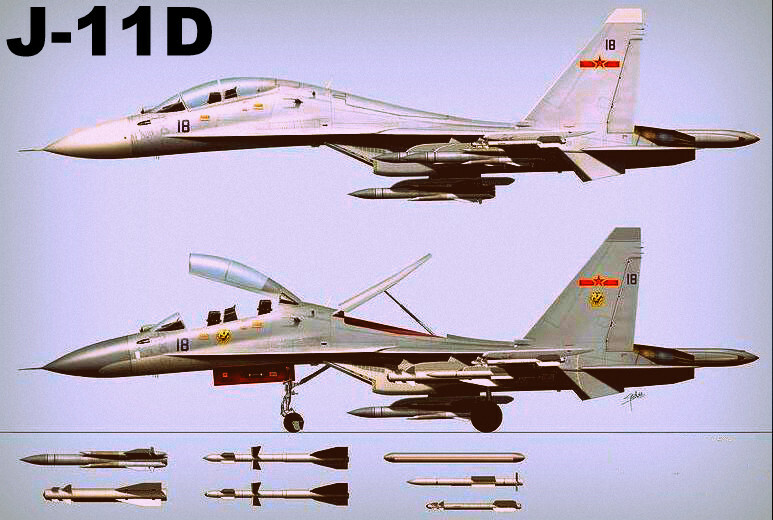 J-11D would carry PL-10 WVR AAM and PL-15 BVR AAM. PL-15 is the latest addition in Chinese long range AAM which has become new principle BVR weapon on board PLAN/PLAF aircraft. The missile has a range in proximity of 100 Km and incorporate new duplex datalink and new active/passive dual mode seeker with enhanced ECCM capability.Apart from this, the under wing weapon stations have been increased from 2 (in J-11B) to 3 (in J-11D).Its forward IRST/LR appears to have been offset to the starboard side of the windshield, suggesting an IFR probe was installed on the port side, an arrangement similar to that of J-15. WS-10B Block II has been sighted as the future power plant for J-11D. 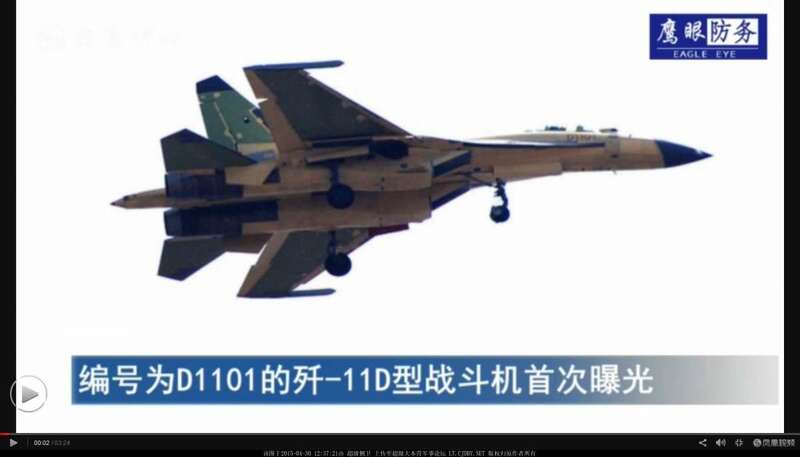 Chinese sources also hint that some earlier J-11B would also be converted into J-11D. As per IHS Janes, This variant also reportedly features a news indigenous full authority digital engine control (FADEC) system to improve the performance. Janes also mentioned, a new glass cockpit and electronic war suit for this latest incarnation of Chinese flankers. Compared to Su-16, J-11D is smaller in size but Its radar, EW systems, FBW systems, and communications equipment are the same as those aboard the Shenyang J-16. First flight of J-11D prototype D1101 took place on 29 April 2015. The J-11D's most noticeable upgrade is an upwardly canted radar dome, which carries an Active Electronically Scanned Array (AESA) radar, as well as further use of composites and stealth coatings in the fuselage to reduce weight. The fighter's Infrared Search and Tracking (IRST) pod has been relocated starboard of the cockpit, to accommodate a retractable inflight refueling (IFR) probe. The J-11D is also believed to have improved weapons hardpoints to carry the latest Chinese weapons, such as the PL-10 air to air missile, long range PL-21 missile and YJ-12 antiship missile. AESA radars. The middle one, which is built for the J-16 strike fighter, has 1760 transmit/receive elements. 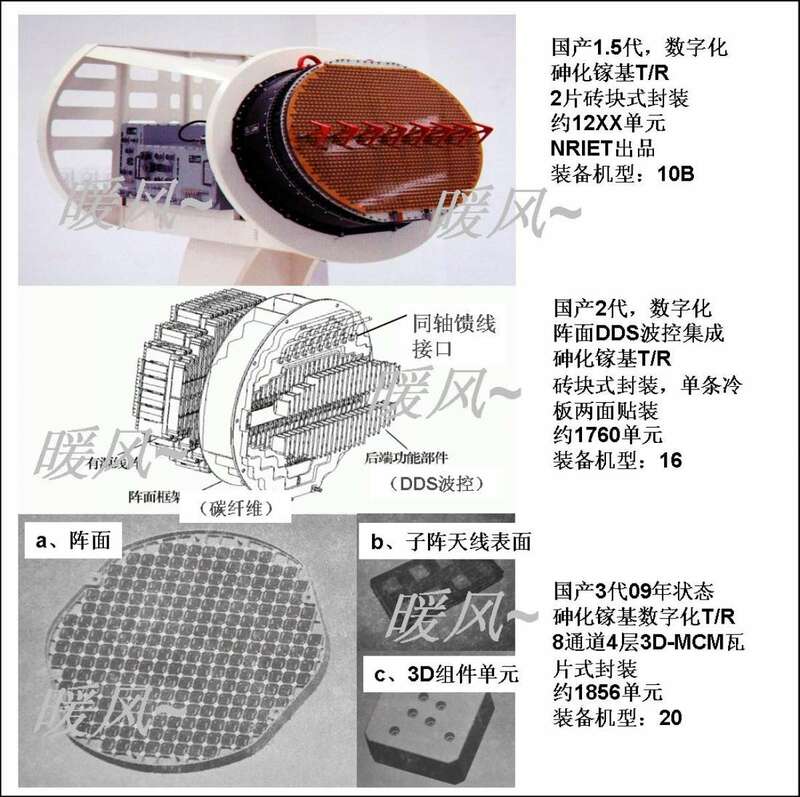 The J-11D's radar is likely to be an improved model f the J-16's AESA radar, optimized for air to air combat. The J-11D's upgrades allow it to take full advantage of new PLAAF capabilities, and in turn, extend those capabilities further. For example, the IFR probe would enable aerial refueling from an Il-78 tanker, extending both the aerial patrol time and range of the fighter. The AESA radar offers key advantages over older, conventionally scanned radar; it's more resistant against electronic jamming, offers higher resolution when targeting stealthy aircraft, and has greater range. The J-11D's datalinks would enable it to share its radar data with other Chinese aircraft and ships. The J-11D's greater weapons payload would include long range weapons that could then be guided by other systems with longer ranged sensors, like the KJ-500 airborne early warning radar plane. The offensive applications of the Divine Eagle are demonstrated here, as two Divine Eagles mark out not just the enemy aircraft carrier, but also its escorting warships and aviation wing, while vectoring friendly aircraft and ships into combat. The J-11D's radar and datalink would enable the fighter to transmit its radar data to other Chinese aircraft, robots and ships as part of integrated combat operations. The J-11D's first flight is especially interesting given persistent rumors about impending Chinese purchases of the Su-35, the most modern Russian Flanker model. Ironically, the Su-35 uses a passive electronically scanned array (PESA) radar, which is an older and generally less flexible technology. Further flights like this indicate a shift is at hand, as advancing Chinese technology might be killing the Su-35's China sale chances.